Everyone wants a toned, lean body. 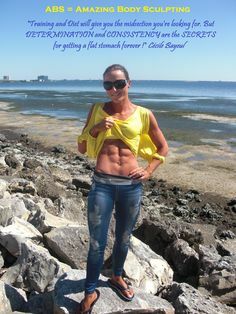 For the most part, we also have an idea of what we could do to get such a fabulous physique: regular, strenuous exercise burns off fat just fine. The problem is that not everyone has the time or—let’s face it—interest to commit to spending hours at the gym on a regular basis. 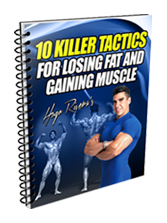 Luckily, there are a few tricks which will aid you in burning fat, and which will fit in your daily life; the effect of each is pretty small compared to a crazy workout, but they add up. It seems counter intuitive that time spend just lying there could help with burning fat, but making sure you get enough sleep can have a big impact. First and most obviously, being well-rested will make you feel more energetic, which in turn will increase the amount of moving around you’re able and willing to do. You’ll be more likely to make it to the gym for that workout you planned. Changes in your body chemistry account for a large proportion of sleep’s benefits. With regard to building a lean body, the chemicals of interest are the hormones cortisol, insulin, and ghrelin. Cortisol is a stress hormone which can inhibit the breakdown of fats; there’s also a connection between the level of cortisol and the amount of Neuropeptide Y, which governs how much fat is deposited on your body and increases the number of fat cells. Insulin is a hormone which influences your blood sugar as well as how much fat your body stores, and ghrelin—the ‘hunger hormone’—affects your metabolism in addition to acting as an appetite stimulant. The levels of all three of these hormones are decreased when you get enough sleep. Organochlorines are a group of chemicals used in pesticides, the most famous example of which is DDT. While their use has largely stopped in the United States, they are still common in developing countries, so you’ll want to watch the country your produce was grown in; even fruits and vegetables grown in the U.S. aren’t off the hook, as these compounds last a very long time in the environment…and in our bodies. Just one of the problems with organochlorines is that they are stored in fat cells, and can interfere with your fat metabolism. Some of the foods to avoid are listed yearly in the EWG’s “Dirty Dozen”—watch out for them, or save yourself some trouble and simply buy organic produce instead. A hot mug of matcha green tea is delicious and energizing. Even better, it contains a group of antioxidants called catechins, which increase norepinephrine levels and are known to boost metabolism. A study published in the American Journal of Clinical Nutrition showed that a daily dose of green tea significantly decreased body weight, BMI, waist circumference, and the amount of subcutaneous fat. Muscle burns more fat than flab does, even when you’re not doing anything; strength training will help you to get the lean shape you want, and help you keep it after that. No need to worry about getting bored with a single routine, either—you can build your muscles with exercise machines and free weights, or through exercises such as yoga and Pilates, which use the weight of your own body to provide resistance. In addition to ‘pumping iron,’ you’ll want to eat it. Your body needs oxygen to make energy, and for that it needs iron—specifically, it needs the hemoglobin to carry oxygen from your lungs throughout the rest of your body, and you can’t have hemoglobin without iron. Anemia can rob you of the energy to complete a workout, sap your general health, and harm your metabolism, making all of your fat-burning efforts less effective. Calcium in your fat cells regulates how much you store and how much you break down. Dietary calcium has been found to preserve cells’ thermogenesis even during calorie restriction, all while helping to build strong bones. 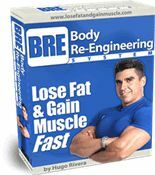 The effectiveness of steady-state cardio workouts in burning fat has been seriously overstated in the past. Studies have since shown that interval training—short bursts of vigorous activity alternating with more relaxed exercise or rest—is much more effective. Dividing a 20-minute workout into two 10-minute mini-workouts will also increase the effectiveness, and makes it easier to get it all in. It’s much easier to find ten minutes now and then than it is to try to set aside a half-hour or an hour all at once. Okay, so maybe mouse brains don’t sound all that good, and that’s perfectly fine; you’ll still benefit from eating smaller meals more often. Large meals mean large swings in blood sugar and a bigger variation in energy levels throughout the day. When the blood-sugar dip arrives after eating a meal, you’ll feel hungry and specifically crave sweet or fatty foods. Making sure to include protein will help to stabilize your blood sugar even more, and will give your body what it needs to build muscle. It’s such a challenge to drink clean water daily. Sure you’ve heard that it’s good to drink 8 cups a day or .67 of your bodyweight in ounces daily. However, most of the water we drink is loaded with chemicals and contaminants. That’s why I feel it is super important to purify the water you drink as much as you can. A great way to do this is using turapur pitchers. It’s fast and easy to do. Sure, go to the gym when you can; more exercise is always good. 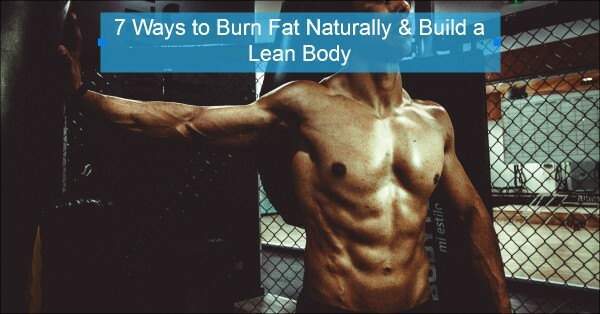 If you want to get–and keep–a lean, toned body, be sure to incorporate as many of these other tips as possible into your life. Once you’ve formed them into habits, it will be easy to keep them up long-term, and will increase your overall well-being. 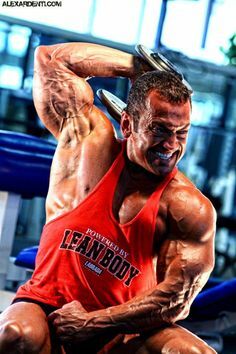 Anthony Alayon is a best selling fitness author who is a regular contributor to Natural Muscle Magazine. 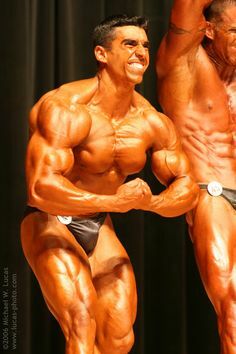 His work has been feature in Bodybuilding.about.com (New York Times Co.), Bliss Magazine, Bodybuilding.com, Labrada,com and many more. He studied accounting at the University of South Florida. J Clin Endocrinol Metab. 2004 Feb; 89(2): 632–637.